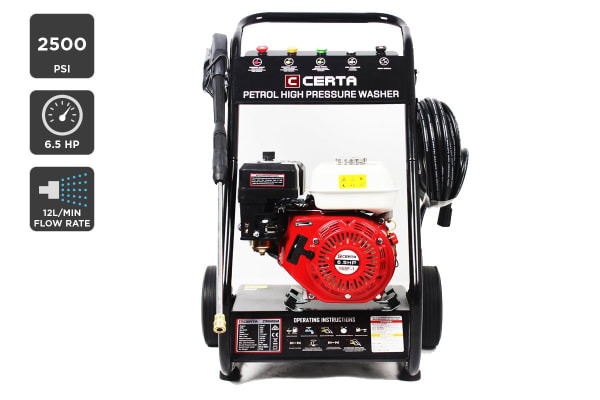 With a thumping 6.5HP and powerful 4-Stroke OHV engine producing a massive 4.8kW of power, this pro-quality petrol pressure gurney blasts through chores without wasting water. 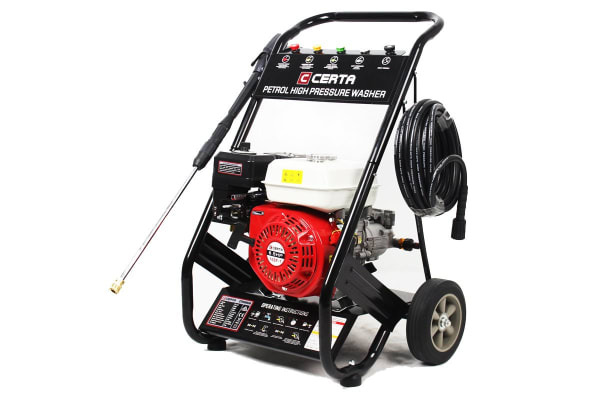 Perfect for cleaning driveways, patios, cars and more! Cut down annoying clean times and enjoy more cleaning power with less water thanks to the Certa 6.5HP 2500PSI Petrol High Pressure Washer. Simply switch to any of the five pro-tip nozzles to go from a light cleaning with the soap nozzle to more heavy duty footpaths with the wide spray. Use the included turbo head for a more concentrated spray to strip back hard-to-clean paved areas. 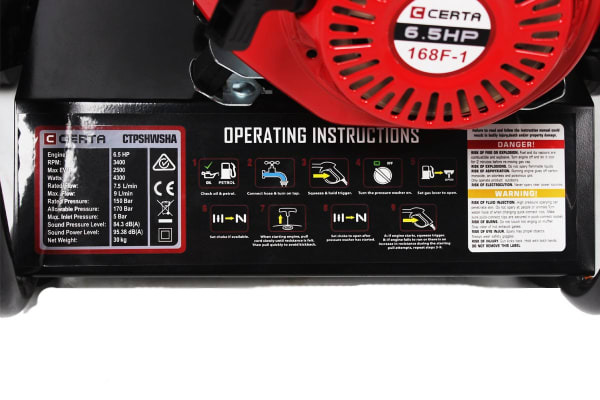 Unlike electric pressure washers which are limited by power cords, this gurney navigates easily across uneven terrain with a rugged trolley frame and solid rubber wheels, helping you to get pro-worthy cleans no matter the surface.